To join broken or cut tape. 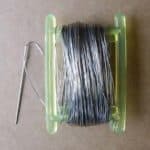 The sewing kit consists of 10m of 20-gauge stainless steel thread plus a needle. The sewing kit consists of 10m of 20-gauge stainless steel thread plus a needle. 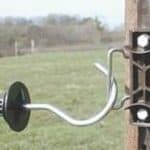 It mends broken tape, joins tapes together in the middle of a run, or can be used to join a gate handle or insulator to the tape. 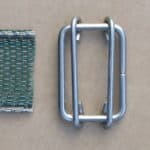 The metal thread ensures a good electrical bond in any join.